I can't help but love these jars in the perfect shade of blue. When the sun hits them just right they sparkle. In the early 1880's the Ball Brothers built a fruit-jar empire. They took over several smaller jar companies and mass produced their jars across the country. 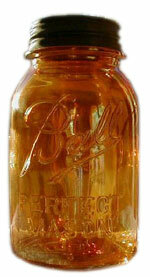 The most common Ball jars known are PERFECT MASON, IDEAL, SURE SEAL, IMPROVED & SPECIAL. But there are countless versions out there. These jars also contain various logos that can help determine their age. Ball jars come in colors that range from standard clear, aquamarine, and green to less-common amber. Amber jars (pictured above) were made to keep fruit from turning brown. They were meant to keep out harmful effects of light rays. However, their color made it harder to see what fruit was inside the jar, therefore they were not as popular. 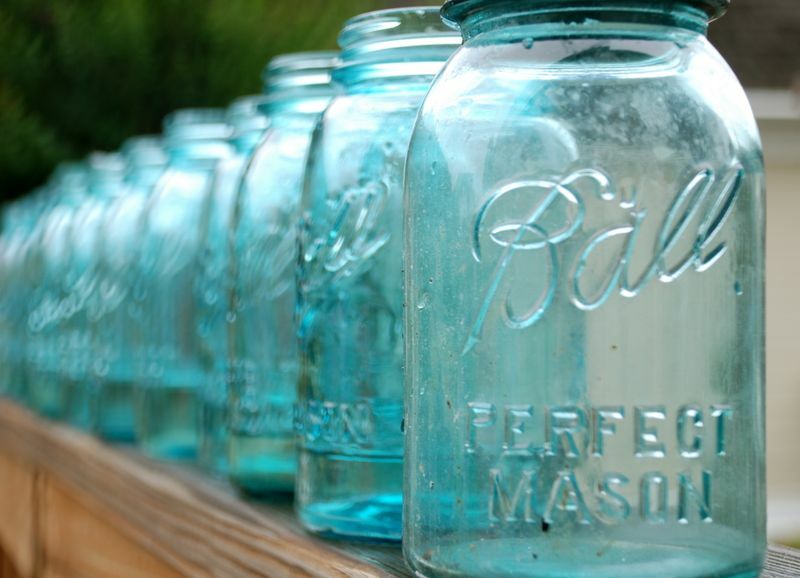 Since fewer were made in amber, olive green and cornflower blue they are sought after today by Ball jar collectors. Square jars were made so homemakers could stack jars closer together, thus taking up less space in kitchens or cellars. Once again less were made of this jar, so they are worth more to collectors. 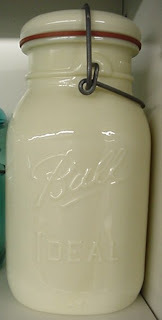 Now this milk glass Ball jar has to be my all time favorite. These are very rare and so pretty. fill with sand and add some pretty seashells! oh i love this post! 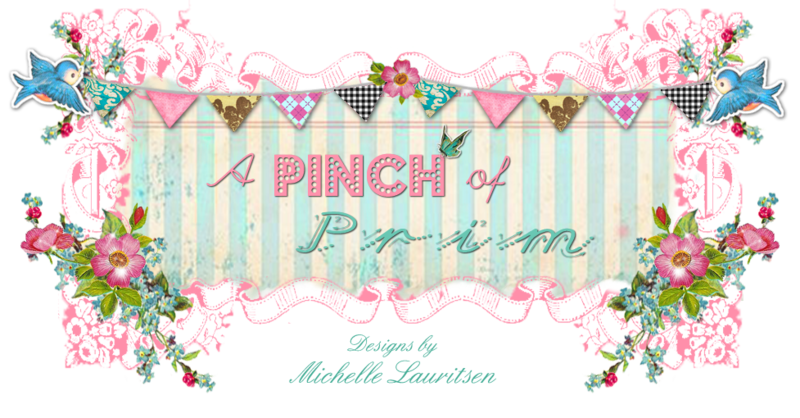 i love learning a bit more about all of these wonderful creations! the milk glass ball jar is FABULOUS -- i have never seen one before but my heart belongs to the blue ones -- they are just over the top gorgeous!!!! thanks for sharing -- i am feeling a little bit smarter!!! : ) hugs! Oh YES!!!!! 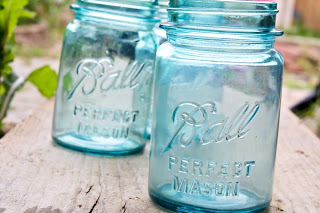 I'm CRAZY about ball jars! I've collected all different kinds. The most rare one have is probably an amethyst one! Did you know that the Ball brothers were creators of Ball State University in Muncie, Indiana? That is actually where I went to college! 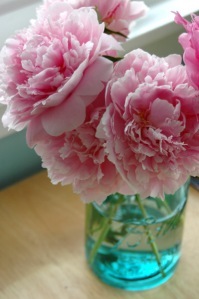 I recently bought several blue Ball jars at a yard sale and they are so pretty on the windowsill with roses in them.